While the blogosphere minions debate on the relative merits of Cold War Kids vs. TV on the Radio vs. Band of Horses for most relevant band of the year, many fantastic bands and deserving albums will go unmentioned. If you’re tired of reading about how Voxtrot could beat Midlake in a year-end fisticuff, you might want to check out these records for a refreshing change of musical pace to start off your 2007. In 1985, Matthew Broderick and Michelle Pfeiffer co-starred in a fantastical medieval tale of chivalry, shape shifting, and romance entitled Ladyhawke. Drop the “e” and add 21 years and you get a Canadian band that’s not afraid to use dirty 1970s guitar themes, big drums, and massive amounts of facial hair to explore love on their own. 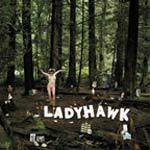 With ties to Jagjaguwar darling Black Mountain, Ladyhawk both draw and distinguish themselves from their labelmate. While “48 Hours” and “Came in Brave” create thick walls of guitar raunch at moments that recall the stronger sounds of Black Mountain or Comets on Fire, much of the rest of the record shows a better sense of quiet-loud dynamic. Neil Young is perhaps the best foil for this trend, as the movements from soft acoustic to a bigger chorus found in “Advice” and “Long ‘Til the Morning” recall Rust Never Sleeps. Indie rock is also in Ladyhawk’s blood, and straight ahead rockers “Teenage Love Song” and catchy hit “The Dugout” bring earnestness and appeal that J Mascis would be proud of. With so many muses it’s easy to appreciate their influences, but Ladyhawk’s own dynamism and raw rock easily stand on their own feet and bust out of every knee-jerk classification to the tune of lead singer Duffy Driediger’s gruff, striking vocals. 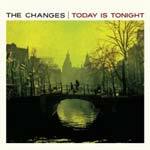 The Changes’ Today is Tonight offers a refreshing change of musical pace for those grown tired of scenester antics. Perhaps one of the most earnest releases of 2006, Today is Tonight can best be described as soothing modern rock for the soul. Engineered by Chris Brickley, whose work on Wilco masterpiece Yankee Hotel Foxtrot helped it gain that designation, the album is based loosely on “a day in the life” concept, moving from the bouncy, alarm bell keys in opener “When I Wake” to the somber Police-y closing bookend of “When I Sleep”, with plenty of gems packed in between. Bright bells give hopeful optimism to lead singer Darren Spitzer’s announcement in “On A String” that “I’m not afraid of you, no matter how hard you try.” A sweet key hook, smooth drum machine, and Beach Boys-like harmonies grace an ode to familial fidelity on “Sisters”. Nods to the current guitar pop of The Strokes guide “Modern Love” and “Water of the Gods” but never take away from the overall unique tone. Even disco gets a treatment, as “Twilight” offers sweet canned tambs, some bongo beats, and lovely Theremin tones to boot. The one exception to the record’s laid back style is “Such A Scene”, where waves of synth noise and guitar squall cascade across Spitzer’s angry vocals. It’s one of a plethora of fascinating moments on one of 2006’s most invigorating and salubrious records. 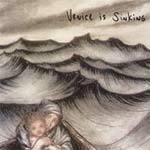 The painting that graces the cover of Venice is Sinking’s elegant Sorry About the Flowers perfectly evokes what awaits the listener within. A scared mother holds a small child in the prow of a boat - a wind-swept, turbulent ocean dominating their horizon. The feeling of fearful insignificance elicited by this grey world perfectly matches the swaths of somber orchestral songwriting stacked in Sorry’s 10 tracks. Primary songwriter Daniel Lawson crafts intricate pop songs enmeshed by his player’s effusive talents. Multi-instrumentalist Karolyn Troupe adds layer upon layer of viola, violin, flute and cello on much of the record and thereby sets the mournful, introspective tone made even more profound by the fact that the record is dedicated to her late brother. Alex Thibadoux’s excellent keyboard work is known more by the mood it quietly helps maintain rather than by the domineering work of so many contemporary keyboardists. Two of the best moments on Sorry come with the elegiac “Arkansas”, an incredibly and beautifully heart-rending piece, and “Undecided”, which electrifies its country-twinged elements with pronounced synth and string work. The essential core of Sorry About the Flowers is centered around its ability to craft cinematic landscapes with undeniably strong musicianship and intensely sad compositions. Nineteen-minute closer “Blue By Late” creates an ambient end to an otherwise tightly presented record of loss and hope, but fittingly concludes the record’s earnest tonality. While the Parisian suburbs took a hit in the news in 2006 over riots springing from everything from disgruntled students to oppressed immigrant youth, one thirtysomething francophone allowed his washes of smooth, melancholic pop to offer a different vision. 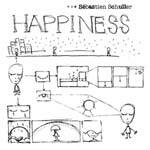 Multi-instrumentalist Sebastien Schuller’s debut on Minty Fresh is reminiscent of some of the best of his most famous electronic countrymen Air. Like Nicolas and Jean-Benoit, Schuller is not afraid to make blissful synth tones his calling card, allowing his soothing vocals space to dance over fantastical digital tones. Somber opener “1978” utilizes a haunting piano to urge introspection, a theme that continues throughout the record. Single “Weeping Willow” takes one repetitive high-end note to task while Schuller’s quiet vocals query the essence of happiness, a notion that reappears in the Vangelis-like “Tears coming home” as well. Eerie bells in “Edward’s hand” and the sundown organ of “Where we had never gone” complement the autumnal mood, though closer “Le Dernier Jour” offers a glimmer of hope. All opinions expressed by Brandon Forbes are solely his own and do not reflect the opinions of Stay Thirsty Media, Inc.